Find the words hidden in the puzzle . The words are woven horizontally, vertically or diagonally in any respect , both from right to left and left to right, and both top-down and bottom- up. Encourage your children to find words, select smaller sized puzzles for them. They are automatically generated by a generating AI according to the settings you can find in the preferences menu of the game. To mark the word, slide your finger in the same sense that the word appears, drawing a line. When you have completely covered , lift your finger to remove the tape and continue playing. The game is automatically saved when you exit the game. When you return , you can continue where you left off , so you can take as much time as you like to solve the puzzle . You can also start a new puzzle without finishing the previous one. At the end of the game, the actual time it took you to solve it and made ​​the best time in that category will be displayed. 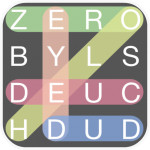 – Selection of the density or number of words that appear.